There are a lot of great speakers, and I’ll be sad because I won’t be able to attend all of the sessions (only so many slots in a 3-day conference :(, and I’m co-presenting 3 or 4 of them). Check out more about MMS in my previous post. ConfigMgr State and Status Messages – Under the Hood – Anything from Michael Wiles or Steve Rachui are on my hot list – Steve is a support engineer at Microsoft. Michael used to be my Dedicated Support Engineer at Microsoft, until I managed to talk him into joining my team! State and status messages are a challenge, and any opportunity to understand them better, as well as ‘taming the beast’ is a good thing in my book. Deep Dive into Content Flow – This is another session from Michael and Steve, and understanding content flow should be near the top of our list of issues to learn to troubleshoot better. Pull DPs, standard DPs, DP on and off a site server – content flow is key to keeping us employed. OS Deployment at Level 500 – The training wheels are long gone. Johan is going to dive into the guts of OSD, and you’re going to learn about things that until now, were in the same category as Leprechauns and Unicorns. PowerShell, PowerShell, PowerShell – Aleksandar Nikolic has three sessions diving into PowerShell Remoting, Workflows, and more. 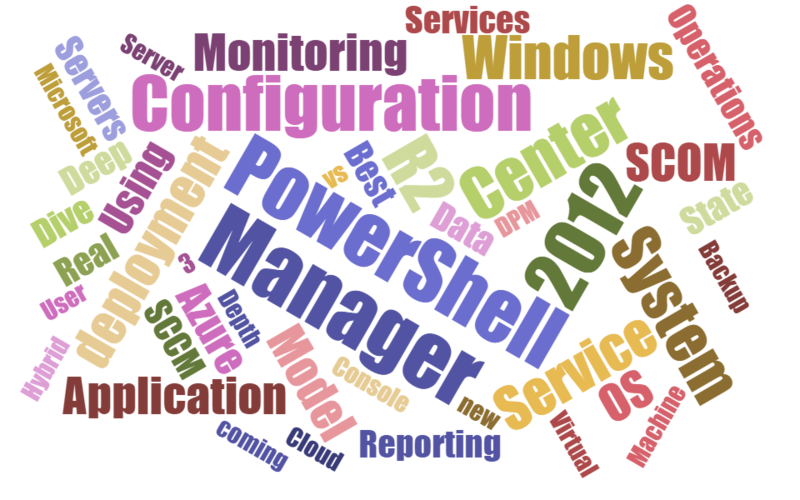 You have skills in PowerShell? Attend these sessions to learn something new. Windows Deployment – Now and Into the Future – Michael Niehaus will be presenting this session. With Windows 10 around the corner, there are plenty of new “features” and enhancements we all need to be aware of, in order to deploy this newest OS. Birds of a Feather Sessions – MMS has tons of them. 1) topic-focused BoF sessions each morning – bring your questions, share your knowledge, network. 2) BoF in every session – we plan for 60 minutes presentation, and additional 45 minutes at the end of each session for BoF, additional Q&A, and anything else you’d like to discuss about the presented topic. And what’s most important to realize is that this is only a very small sampling of the content – we have so many great sessions, great speakers (and great friends), I would literally need to paste the entire session catalog to tell you about all the great content. Oh, and I forgot to mention – NETWORKING. I have met so many people through the SMS/ConfigMgr community, and a very significant number of those people have built great friendships, as well as advanced their career as a result of networking that has occurred at previous user group and MMS events. Meet people, share ideas, build friendships (and future employment opportunities). Stay tuned – the session schedule will be posted very soon over at http://mms.mnscug.org.